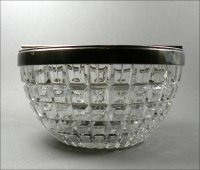 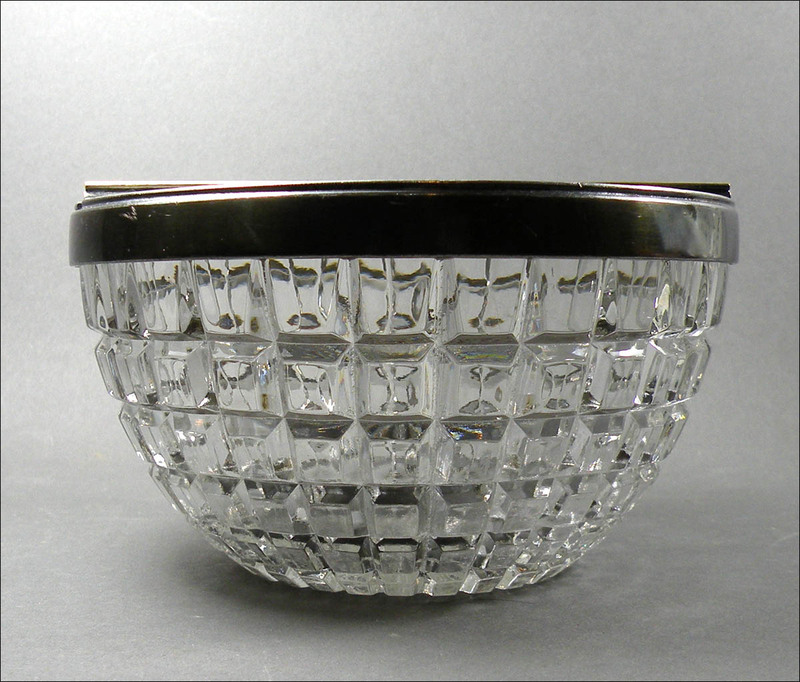 I don’t know anything about this bowl except that it’s really handsome. It has no manufacturer’s marks and because of its condition seems like it’s new. 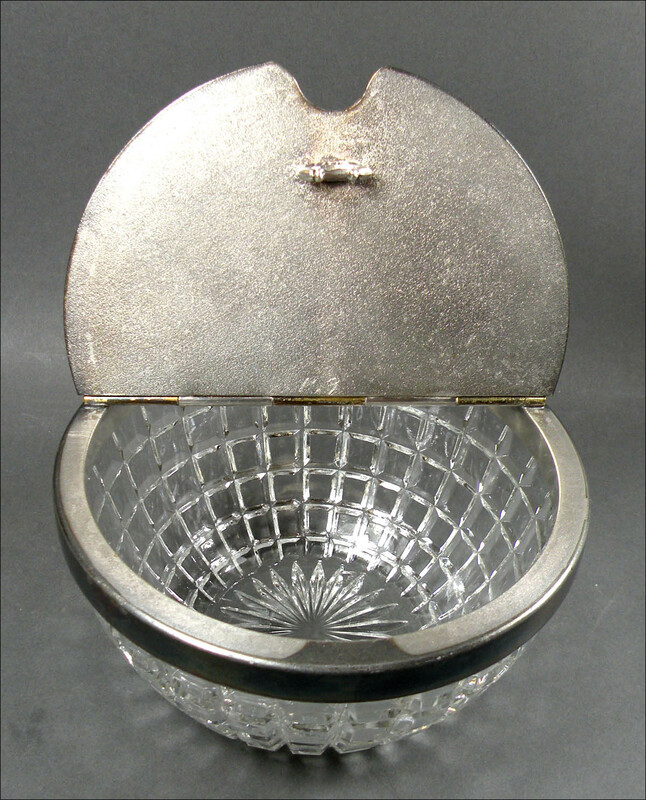 It is very unusual in that it has a cutout for a spoon but no knob, and it has a molded-in spoon holder in the lid. 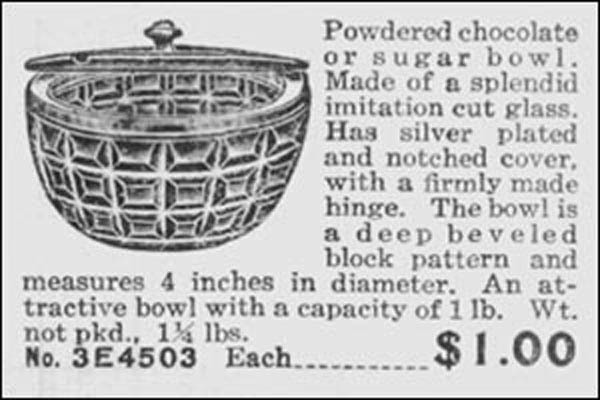 The closest I can come to an ID is that it’s the block pattern, similar to the “deep beveled block pattern” shown in the attached catalog ad in a 1913 Albert Pick catalog. 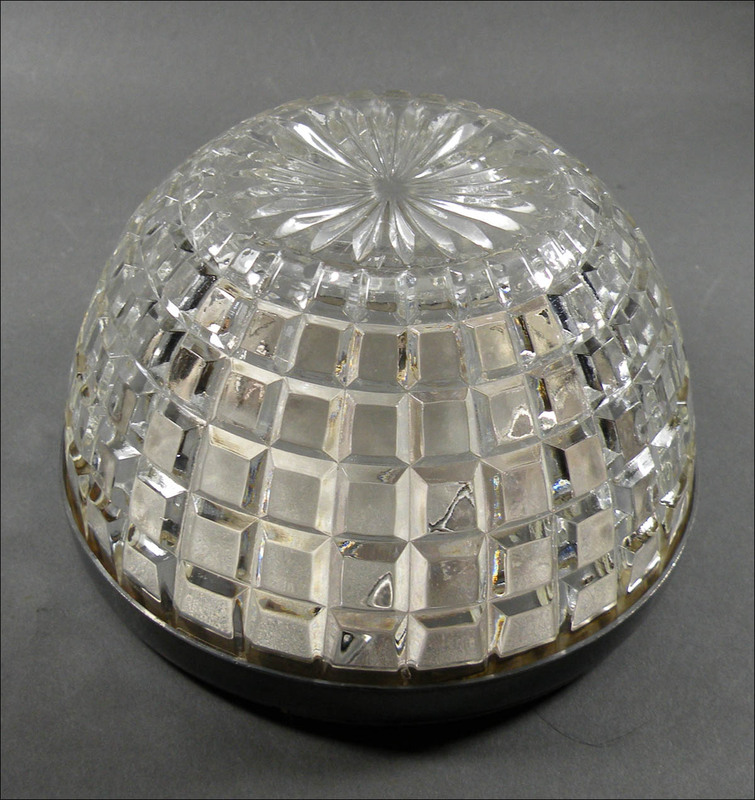 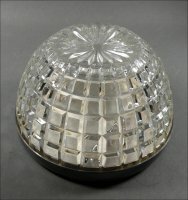 It is 5 inches across by 2 7/8 inches high and has few if any use marks. 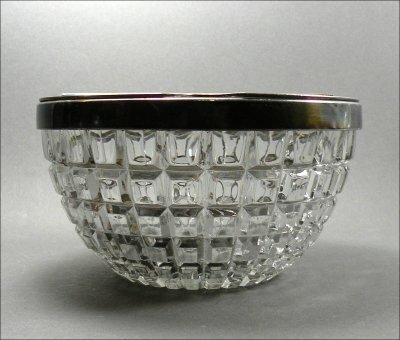 I do see a couple of straw marks or shear lines but no chips, cracks or scratches. The lid has something of a fine, sandblasted texture and over the years has acquired this attractive patina. 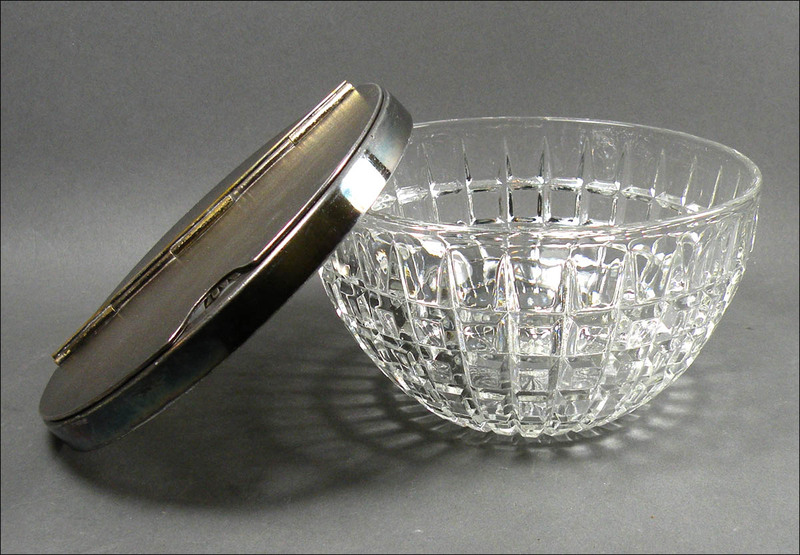 I usually polish lids if I think they might be silver plated, but I left this one alone because it’s so nice as it is. 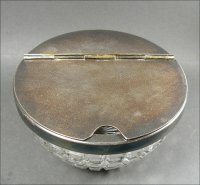 If you look at the photos of the rim with the lid open, you’ll see that the rim is shinier silver with a darker spot where the notch is, exposed to the atmosphere.